"They whom truth and wisdom lead, can gather honey from a weed..." William Cowper. Several times in the last couple of months, I've come across references claiming that honey has no expiration date, a shelf life of thousands of years. Such references pepper the websites of beekeepers and honey vendors. It is part of the legend and lore of honey. I offer as an example this link to Natasha Geiling's "Surprising Science" at the Smithsonian blog: "The Science Behind Honey's Eternal Shelf Life" which appeared in my facebook feed. I fell in love with this idea and became like Cowper's "bee of most discerning taste Perceiv'd the fragrance as he pass'd" and, in my mind, my blog post was half written. The "eternal shelf life of honey" would provide a profound twist to the biblical phrase "a land flowing with milk and honey." Like a seeker of truth and a wise researcher, I decided to check and confirm facts and references before I started writing. My favorite part of any project is always the research which is probably why I so seldom write. Alas, my lovely blog is not to be and like Cowper's bee "Thus having wasted half the day, He trimmed his flight another way." My blog must be about the evaluation of sources and the development of reliable references. I have always loved honey. I love listening to my mother, Dorthy Wieland Cummings, tell tales of her childhood in Leon County, Texas, where her father kept bees. She and Aunt Gladys used their "shooters" to break up the swarming hives. Grandma filtered the honey through cheesecloth and bottled it in canning jars sealed with beeswax. I remember Daddy once bringing home a giant honey comb and how we children chewed the sweet wax and honey dripped down our chins while mother followed in her mother's footsteps. What a treat with hot, buttered biscuits throughout the winter! We could taste the flowers. My friends know that a jar of honey is always a most welcome gift from their travels. I know that unadulterated honey does indeed have a very long shelf life if not exposed to air; it may crystallize but it does not spoil. I have opened a well-sealed glass jar of honey stored in a cool pantry almost a decade after I put it on a shelf and forgot it. The honey had darkened a bit but was otherwise still good. A decade is far short however of a millennium. I am skeptical of "eternal shelf life." As a former medical librarian, I know that honey has medicinal uses, both historically and currently. Honey's curative powers are written on Sumerian clay tablets (1500 - 1250 B.C.E.) and in in the earliest extant medical texts. Many of the cures in the Papyrus Ebers (1550 B.C.E.) mention honey. Its antibacterial properties, its wound protection, and its use to heal skin irritations is well documented. I myself often use honey as an ingredient in herbal tesanes and homemade cough syrups, and I often mix honey with yogurt and oatmeal as a hydrating/calming facial. Honey was also used during the process of embalming and mummification in ancient Egypt. Honey is often included among the provisions for the afterlife and has been found not only in the Egyptian tombs but in Mayan tombs and in other ancient burial sites. It is not unusual to find containers, stained with honey, which contain pollen from the flowers that fed the ancient bees. Paleobotanists identify the plants of long gone meadows, reconstructing climates. Here is a link to one such recent discovery of a tomb in the Caucasus: http://www.eurasianet.org/node/65204. Jars marked with bees indicate "good honey" and "honey from the dessert." Honey stains and pollen are not the same as jars full of honey that remains edible after millennia. Multiple references flood the pages of my carefully constructed Google searches but I am not finding credible sources with the citations to original publications that my librarian's soul craves. "Modern archaeologists, excavating ancient Egyptian tombs, have often found something unexpected amongst the tombs’ artifacts: pots of honey, thousands of years old, and yet still preserved. Through millennia, the archaeologists discover, the food remains unspoiled, an unmistakable testament to the eternal shelf-life of honey." I need that connection to Egypt at the time of The Exodus to make my argument and my carefully constructed searches were not yielding results. Why did I not take the information at face value? I wanted it to be true and I badly wanted to be able to use it to make my exegetical point which is all the more reason to be skeptical. As a researcher, I was taught by my friend and mentor, Rice University Professor Robert L. Patten, to question assumptions, especially my own. It was not part of the information offered by the credible expert. There was no reference, no footnote, no link given for the information. 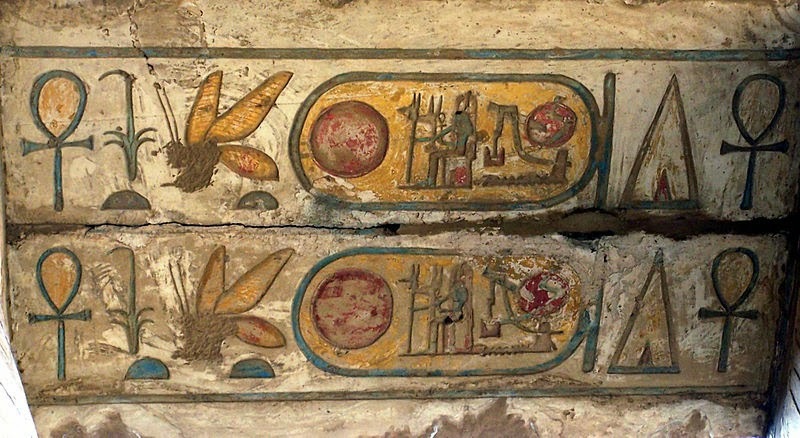 Countless websites offered by beekeepers, honey vendors, alternative medicine health care practitioners also contained this assertion, often verbatim, of honey found in Egyptian tombs but bore no citations to the original archaeological publications. Neither did they offer the name of a single one of these discoverers. Repeating something does not make it true. Neither do 300,000+ search engine hits. Internet searches open up a world of information, often raw, unfiltered, and too often incorrect. One of the reasons, I could not find what I was seeking because of the sheer volume hits. Smithsonian Magazine is a highly respected publication but a blog on the website is not the same as the edited and vetted publication. A periodical intended primarily as a public relations tool for the general reader is not as trusted a source as a peer-reviewed journal. Lore and legend may be charming but I need confirmation from a respected archeology journal or text. "Young Egypt has a well-developed sweet tooth. The ancient Egyptians were likewise fond of sweets. One of the most remarkable finds ever made by archaeologists was a jar of honey, still liquid and still preserving its characteristic scent after 3,300 years, in the tomb of Yuaa and Thuaa, the parents of Queen Tiyi." Quibell, J. E.: The Tomb of Yuaa and Thuii. Cairo 1908. Davis, T. M.: The Tomb of Iouiya and Touiyou. London 1907. Now let's hope that these books are available on-line or I'll have to "find it a library." I love Google books and the multiplicity of on-line archives! The sample, of which there was only about 5cc., was very rancid and sticky, and in appearance resembled honey. The smell and taste however were both oily..."
Taste! They tasted of something they found in a tomb? Oh, my! But whatever it was, it was not honey. "I looked into the vase... it contained only a liquid which was first thought to be honey, but was subsequently proved to be natron." Once again, lore and legend--no matter how charming--must yield to careful bibliographic practices. So end the wanderings of this "bee of most discerning taste"
who has "wasted" far more than " half the day," and who will now have to hope that one day all this knowledge about tombs and honey will be half as useful as it has been interesting, to me at least. "They whom truth and wisdom lead, can gather honey from a weed..."
William Cowper, 1731 - 1800. Follow this link to read Cowper's poem: "The Pine Apple and the Bee. " I had the exact same reaction you did! Did you manage to get your hands on the archelogical records to confirm that the claim is either true or untrue? It was not honey. 1.Quibell, J. E.: The Tomb of Yuaa and Thuii. Cairo 1908. Interesting! BTW, the Princeton Web page for Natron says "WARNING: DO NOT CITE" (at the top of the page). Clicking on it says why. The Wikipedia page where the info is apparently taken from is here: https://en.wikipedia.org/wiki/Natron and would like people to cite it instead! Thought, as a former librarian, you might be interested to know! Thank you for researching this. I find it fascinating that this myth has spread so far and wide and is believed by so many, yet is based on a simple mis-identification.